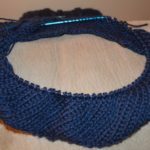 Over the past month I have definitely had a lot of time to knit, but I haven’t been doing it. March was such a depressing month this year, too much snow and cold, no warm days to break it up. I have all of these plans for my knitting this year, but I definitely haven’t gotten as far as I would like! 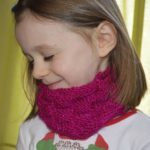 In fact, I haven’t knit a stitch since I finished my cowl (which I decided to keep for myself). I’m ok with that for now! 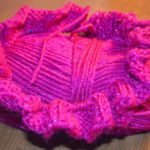 I think that over the next week or so I am going to have to make a trip to my local yarn shop so that I can get some new inspiration. I found a great pattern for a sweater for Jack, but I don’t have any yarn for it, so that is always exciting, a reason to buy more yarn! One thing that I have done over the past month is to read a lot. Reading is typically my go to activity if I have down time. I love to get lost in a story or to learn something new. 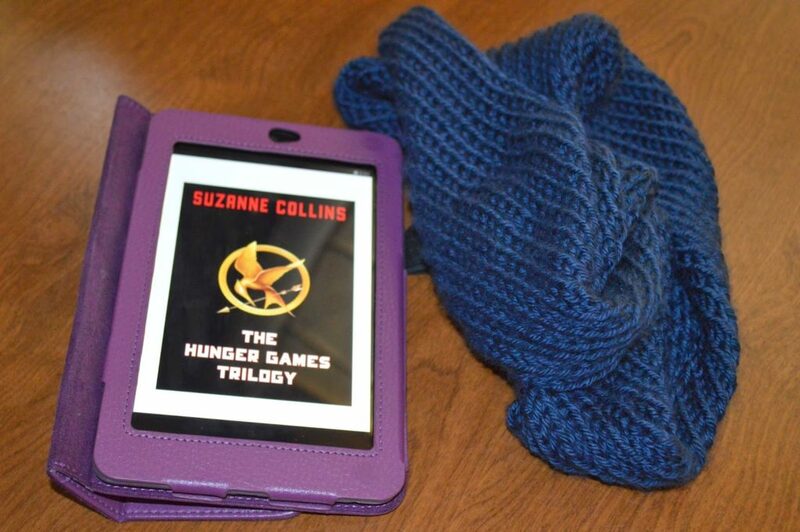 This past week I read the Hunger Games Trilogy again. I read it a couple years ago, but honestly could not remember what had happened in the third book. I remembered the ending, but none of the details. Also, when I read the Hunger Games the first time around, I did not like the ending. I didn’t understand where the author was going, and I had hopes for Katniss and her family that just didn’t materialize in the way I wanted. However, after watching Catching Fire, I was able to go into reading the books with a new perspective, and I enjoyed the series so much more. Now I am at a loss again as to what to read, so suggestions are welcome! Maybe you should read the Divergent trilogy next. I enjoyed them almost as much as the Hunger Games. 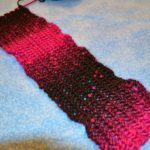 Ditto to Donna… I feel like I'm just starting back into knitting after a slow month of not much knitting and not much reading, and I do think it's the change of seasons. It throws me into some weird limbo or something, especially as we go into spring and as we go into fall every year! I can recommend Andrew Peterson's "The Dark Sea of Darkness" series as a good read that I was thinking of going back to soon! I read the first one and haven't started the second one yet because I kind of want to savor it or something! I have read reviews that say they are really good, especially as the series develops! At least you are getting some reading done. I haven't been doing much of either. I think it's the change of seasons or something. I love these books too. You can't finish reading before the end. It's sooo exciting and a brilliant story.